Mommy Jane loves to shop at The Body Shop because of the variety range of over 1,200 products to date. It was founded in UK on 1976 by Dame Anita Roddick who is a human rights activist. She believes that the business should be about responsibility towards the public food and not just about the money. All thanks to The Body Shop who had brought in to Malaysia in 1984 and we as Malaysians had since enjoyed the beauty of natural products. The Body Shop products are also made from ethical resources, an effort of their Community Trade programme which enables their products to made from the finest raw ingredients from around the world. It is always been popular for enriching people, products and the planet. 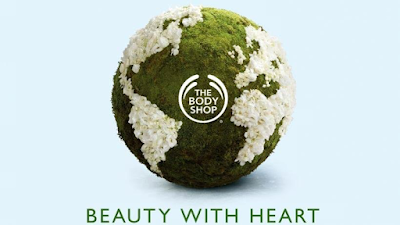 It is indeed a wholesome brand that can enrich our life by buying the products from The Body Shop. I believe that with our support, they will continue their efforts in various campaigns throughout the years. The Body Shop had wide range of product categories which include bath and body, fragrance, skincare, makeup, haircare and even men's grooming. I'm sure we'll spoilt by the choices that they had. Just grab the bath and body products to share it with your family and friends or you could do it as a housewarming gift for their new homes. One of the my favourite range of products would be their fragrance which are often long lasting as compare to any other big brand perfume. Their fragrance was indulge in scents of vanilla, black musk, white lily and much more. Do check out their make-up and skincare products too which are also filled with natural goodness with various ingredients such as Green Tea, Fijian Water Lotus, Vitamins, Shea butter to wild Argan. 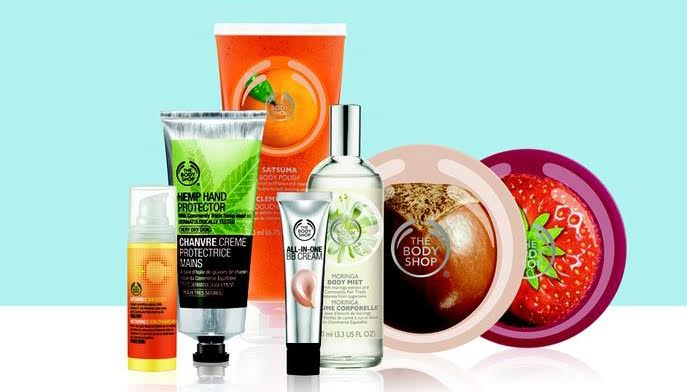 Do purchase The Body Shop Malaysia online now to enjoy the beauty of their natural products. Ivy, me too. Love the natural ingredients used. I love Body Shop products as well and have been a regular shopper, too. Love the convenience of online shopping! Emily, we longer need to go to the shop to get it purposely. Save times and petrol. Isaac, lots of consumers getting their products at Body Shop now coz' the ingredients that they used and the price is affordable too. I love The Body Shop products they are responsible to the environment and also consumers. Kelly, agreed with you. To make our earth a better place to stay. love the body shop products. have been using them since i was in college, and still enjoy using it! Qian, glad to hear that. You could purchase it online now. i like their body scrub and soap a lot. what products are you using now? Leona, I use their body shampoo. Love the scent. The Body Shop was my first perfume shop - way back in the early 2000. And I still love its perfumes until now. Rawlins, you really are their loyal customer. My sis favourite brand. The scent smells too sweet for me. Cindy, can ask your Sis to purchase online now. More convenient. Sara, our body really need a pampering session. Do check out their promotion at the website now.